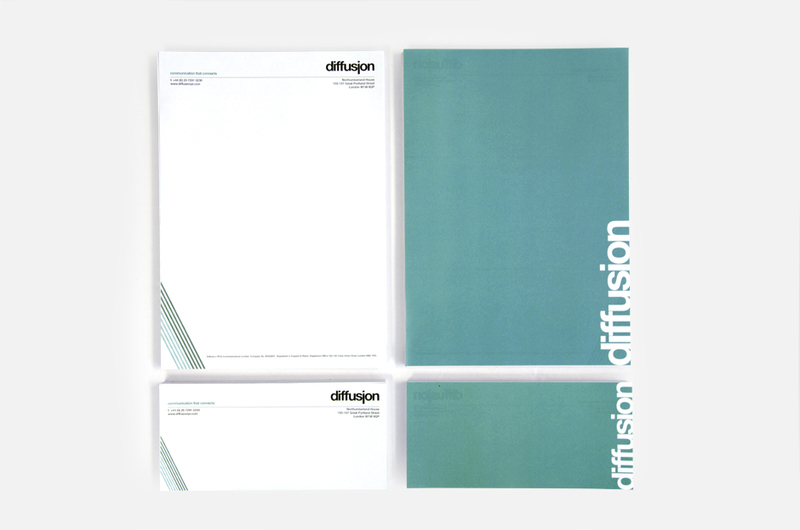 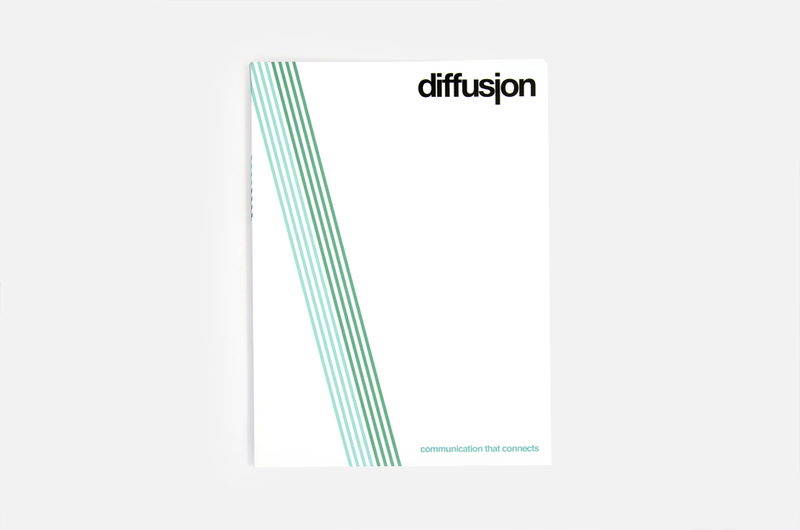 Using the Diffusion logo, colour palette and wall graphics we created for their reception area, we designed a modern stationery set and folder with the diagonal lines. 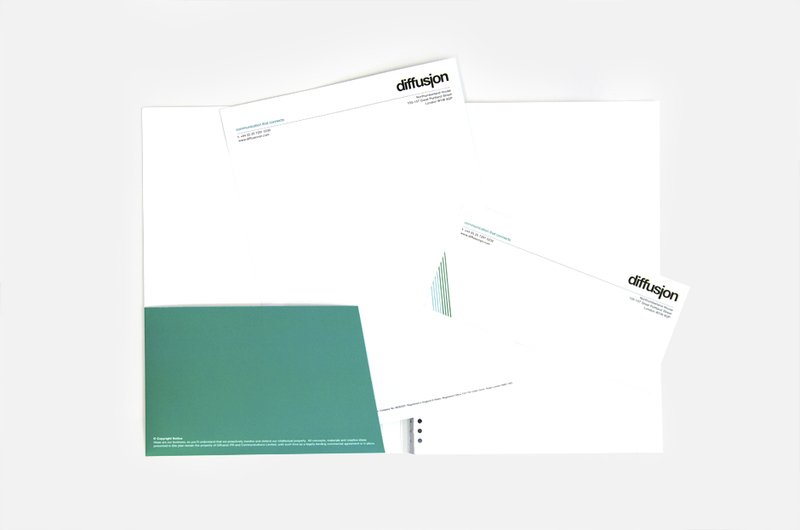 We then litho printed then onto some nice bright white stock. 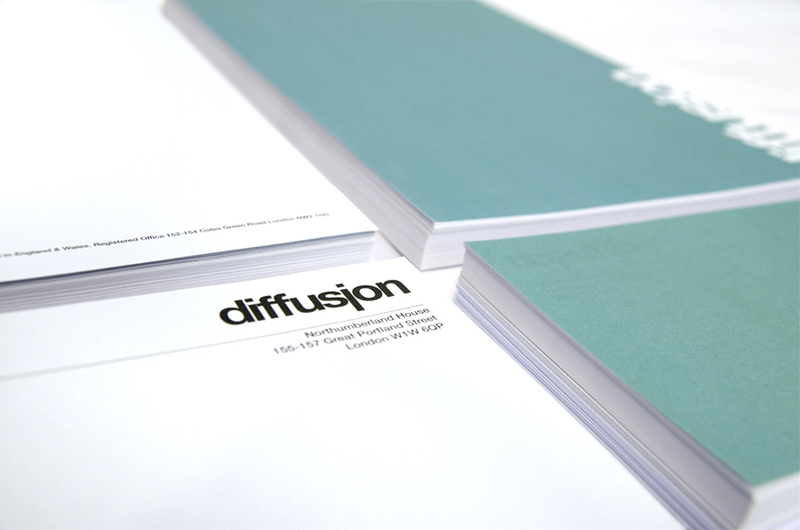 Karma Creative edited and created the moving graphics for this short video about Diffusion PR, using green screen video footage which was supplied by the client.